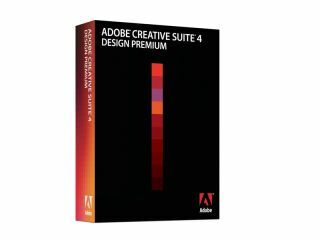 Adobe has announced that it is to increase the price of its latest Creative Suite software, CS4, by up to 10 per cent. The UK is hardest hit, with popular programmes like Photoshop marked up to £534 (exc VAT) from £485. While it's bad news for creatives in the UK, Adobe has revealed it will lower the prices of the software by around 13 per cent in some parts of Europe. "This approach is in line with similar price increases, which have taken place in the past on our AdobeStores in Sweden and Norway, which were also caused by significant changes in the exchange rate between Swedish Kroner/Norwegian Kroner and the Euro," explained Adobe in a press release. It means that compared to the US, we will be paying hundreds of pounds more for the same piece of software. At its US version of the store, the Design Premium version of the software currently costs $1,799 – around £1,097. In the UK store it will now be more like £1,578. If you are a shopper from the UK and Europe, you are be able to log on to the US store, so are stuck with the price hikes. Back in 2007, TechRadar looked into software prices in UK and found that Adobe turned out to be one of the worst offenders for price fluctuations in the UK. This was for its CS3 software. It seems like history is repeating all over again.